Learn business locally. Do business globally. Studying the Bachelor of Business degree will give you a broad understanding of Australian and global business environments. Through your courses you will gain practical skills and attributes that are highly valued by employers in a range of business and entrepreneurial disciplines including finance, accounting, economics, politics, marketing, leisure and tourism, the legal system, industrial relations and statistics. Our business graduates go on to exciting, stimulating and lucrative careers in the private, government and not-for-profit sectors in Australia and internationally. The Newcastle Business School is hands-on and practical in its approach to learning and teaching. You will have the opportunity to gain local and international workplace experience through work integrated learning projects, industry placements and guest lectures from business professionals. Our international immersion and placement opportunities run annually to countries such as China, Singapore, Samoa and Kenya. Our business graduates get jobs with 91% securing employment within four months of completing their degree. Real-world experience. We work with industry to create work-ready graduates that possess the skills and business acumen employers’ desire. Balance your studies while you work. Our flexible timetables make it easy for you to attend class outside normal working hours. When you study a Bachelor of Business degree you will establish a firm understanding of the contemporary business environment and undertake studies in a range of disciplines. You'll have the opportunity to select your courses from eight business-related majors. In the second and third years of your business degree, you'll undertake courses relevant to your chosen specialty. Each of our eight majors provide specialist skills to succeed within that field. 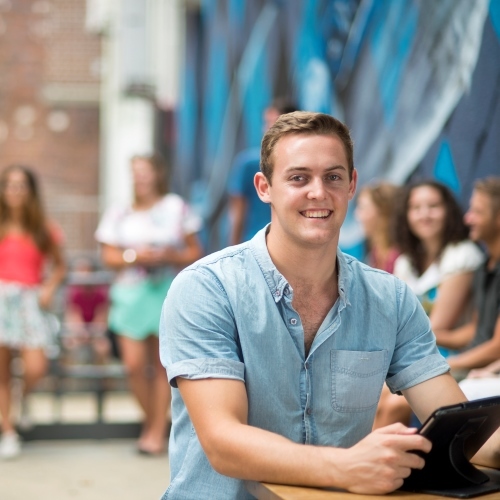 There are many benefits of commencing a business research degree at UON. You'll develop high level analytical and research skills, along with expertise in your research area. You'll set yourself apart in the highly competitive, global job market. We're a highly ranked research University with a world class research community. We have highly experienced personnel with backgrounds in both professional services and academia. 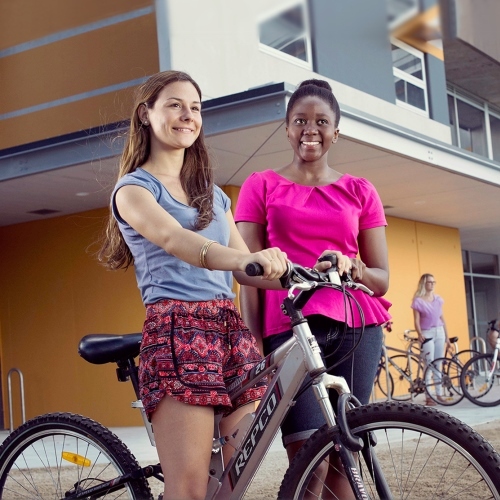 We have extensive facilities and generous scholarships offered to Honours students. Honours graduates at Newcastle Business School are prepared for demanding career opportunities in their chosen field or for further postgraduate research, such as an award at masters or postgraduate level. The Honours degree at the Newcastle Business School is a practical program. Students performing qualitative research are encouraged to implement primary data collection strategies while quantitative research students are required to use analysis tools and methods that are widely used in the professional workforce. 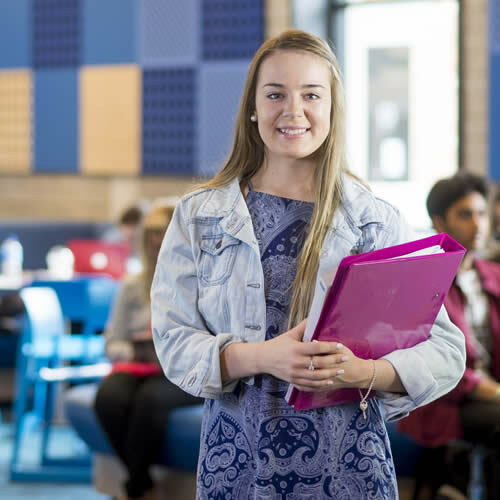 The Newcastle Business School utilises all three of the UON's campuses offering plenty of flexibility in learning and a variety of equipment and assistance. 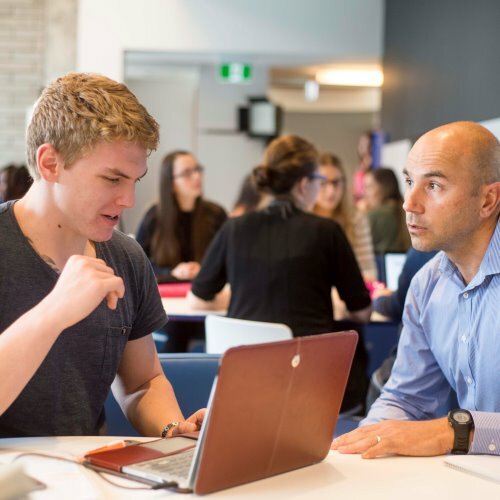 The environment in the Honours program makes sure you're among like-minded and innovative students while being mentored by passionate and supportive academic staff. 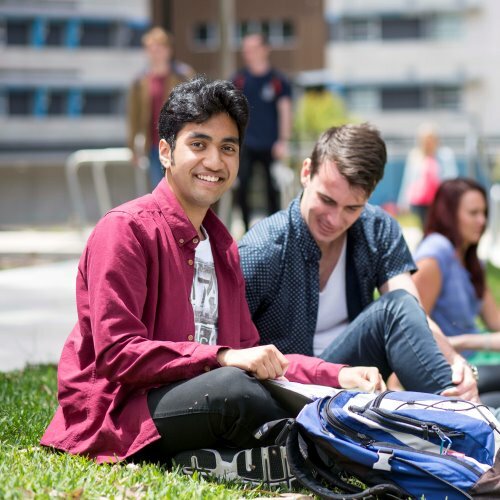 UON is ranked in the world's top three percent of universities worldwide (QS World University Rankings 2015) and consistently ranks in Australia's top 10 universities for research funding and outcomes (ERA 2012). This enables Newcastle Business School Honours students to immerse themselves in a pioneering research environment that is constantly challenging boundaries in all fields. 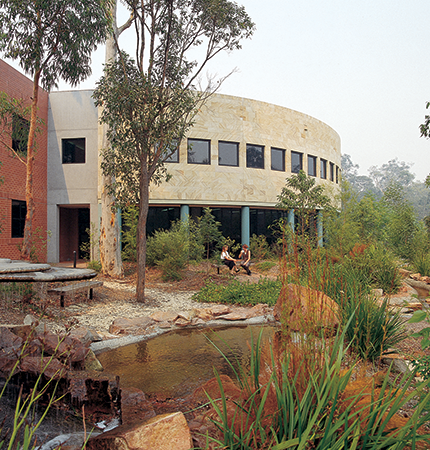 The Newcastle Business School offers ten Honours scholarships of $5,000 per student each year. The program also presents opportunities in pursuing challenging careers with multinational companies and in the public sector. Recent graduates have secured positions with Macquarie Bank and the Reserve Bank of Australia. Upon completion of the Honours program, any student that is awarded first class honours will become eligible for a further faculty scholarship to commence a Research Higher Degree. You can also enrol in a combined degree program. A combined degree is a customised study plan which allows you to simultaneously complete a related degree alongside your Bachelor of Business. We offer the following degree combinations with the Bachelor of Business. In 2016, 91% of our business graduates went on to secure jobs in a diverse range of areas. Take a look at the options below to find out more about your business career opportunities. The following list provides some example jobs relevant to graduates majoring in Entrepreneurship and Innovation. Some of these jobs may require further study, experience or a combination of both. Not all graduates will use their degree in the same way. The transferable skills gained through university study allow graduates to pursue a broader range of career pathways. The list below demonstrates some of the broader possibilities for Entrepreneurship and Innovation graduates. Again, some of these job may require further study or experience. The following list provides some example job titles that may be available to graduates with a major in Governance, Policy and Political Economy. Some of these jobs will depend on the amount and level of study undertaken, level of experience, the combination of other majors and electives studied, while some may require further study. Not everyone uses their degree in the same way and the transferable skills gained through university study may allow graduates to pursue a range of careers that might not be directly linked to their study. Below is a sample list of job titles that might be suitable for someone with the skills gained from a major in Governance, Policy and Political Economy. The following list provides some example jobs available to graduates of a Bachelor of Business majoring in Human Resource Management. Some of these jobs will depend on the amount and level of study undertaken, level of experience, the combination of other majors and electives studied, while some may require further study. Not everyone uses their degree in the same way and the transferable skills gained through university study may allow graduates to pursue a range of careers that might not be directly linked to their study. Below is a sample list of job titles that might be suitable for someone with the skills gained during the Bachelor of Business, majoring in Human Resource Management. The following list provides some examples of job titles that might be suitable for a Bachelor of Business graduate, majoring in International Business. Some of these jobs will depend on the amount and level of study undertaken, level of experience, the combination of other majors and electives studied, while some may require further study. Not everyone uses their degree in the same way and the transferable skills gained through university study may allow graduates to pursue a range of careers that might not be directly linked to their study. Below is a sample list of job titles that might be suitable for someone with the skills gained from a major in International Business. The following list provides some example jobs available to graduates of a Bachelor of Business majoring in Management. Some of these jobs will depend on the amount and level of study undertaken, level of experience, the combination of other majors and electives studied, while some may require further study. Not everyone uses their degree in the same way and the transferable skills gained through university study may allow graduates to pursue a range of careers that might not be directly linked to their study. Below is a sample list of job titles that might be suitable for someone with the skills gained from a major in Management. The following list provides some example jobs available to Bachelor of Business graduates majoring in Marketing. Some of these jobs will depend on the amount and level of study undertaken, level of experience, the combination of other majors and electives studied, while some may require further study. Not everyone uses their degree in the same way and the transferable skills gained through university study may allow graduates to pursue a range of careers that might not be directly linked to their study. Below is a sample list of job titles that might be suitable for someone with the skills gained during the Bachelor of Business, majoring in Marketing. The following list provides some example jobs relevant to graduates majoring in Sports Management. Some of these jobs may require further study, experience or a combination of both. Not all graduates will use their degree in the same way. The transferable skills gained through university study allow graduates to pursue a broader range of career pathways. The list below demonstrates some of the broader possibilities for Sports Management graduates. Again, some of these jobs may require further study or experience. Graduates majoring in Tourism will be able to pursue a variety of careers in the travel and tourism industry for both private and public companies, as well as some government roles. Below is a list of some of the typical opportunities for Bachelor of Business graduates who have majored in Tourism. Not everyone uses their degree in the same way and the transferable skills gained through university study may allow graduates to pursue a range of careers that might not be directly linked to their study. Below is a sample list of job titles that might be suitable for graduates with the skills gained majoring in Tourism. The Bachelor of Business integrates opportunities for you to gain national and international workplace experience and professional mentoring, building practical skills and work-ready graduates.